Sooner or later, every business has to hire. Some businesses start off with a hiring spree to get the ball rolling, while others are one-man operations until that one man collapses from the stress. Hiring spreads the work around, no matter the size of the team. It offloads tasks you might not be very good at doing, brings in talent for a future expansion, and just saves everyone some time. 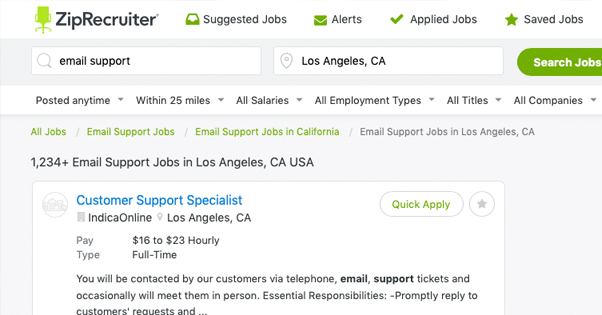 Hiring someone for email-based customer support is incredibly common. 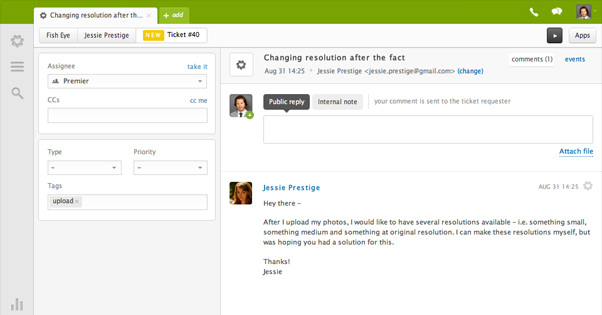 Every business needs customer support, and email is one of the most frequent points of contact for any business today. It’s a big enough investment to go through the process of hiring someone and training them that you want to do it right the first time. Not everyone will work out, and that’s okay, but the better you lay your groundwork, the better off you’ll be with the end result. I labeled this step zero because a lot of you don’t need to think about it. Some of you, though, maybe operating more as freelancers or self-employed workers than as business owners. If you’re looking to hire someone, you need to be set up as an employer. If you’re looking to contract someone as a freelancer, you still need basic information set up so you’re not going to run into tax or liability issues. What is involved with setting up your business? It depends on the kind of business and where you’re located. I recommend looking into your state’s labor department. You’ll likely need to fill out a form for the IRS, and you will need to apply for an EIN, or Employer Identification Number. This is information you need for the appropriate tax forms for the people you pay. Obviously, if you’re a business with an existing selection of employees, you already have this all set up. It may also be worthwhile to look into various payroll applications or systems you might use. There are a lot of different pieces of software you can use, ranging from simple bookkeeping to entire employee schedule management suites. Give some thought to what you need, both now and in the near future, so you can pick something that can scale. On a more broadly relevant note, you may want to set up a customer service platform that your new employee can use. There are a lot of different platforms available to pick through, so find one that looks like it will work for your business needs and get it up and running before you need to train someone to use it. The real first step is to decide what you need out of your proposed email support employee. What is the scope of their job? What powers do they have, and what do you need them to do? Some of this is stuff you need to figure out ahead of time so you can set up the appropriate account access to various systems. Some of it is negotiable with the prospective employee. Most anything you can negotiate, though, should be set to step 2, not step 1. This is where you should determine the absolute most baseline requirements for the job. For email support, such requirements might be a stable internet connection, fluency in English, and familiarity with your industry and the common terms they might encounter. What is the scope of responsibility for your prospective employee? Are they simply answering emails and forwarding messages where appropriate? Will they have the power to issue refunds or replacements, or will they need to obtain approval? Do you want them to monitor a live chat for your website or answer phones as well? Are they external customer support, or do they handle internal support for other employees as well? This is where you may also want to start documenting common issues in a knowledge base and/or create a script for the customer service employee to follow. 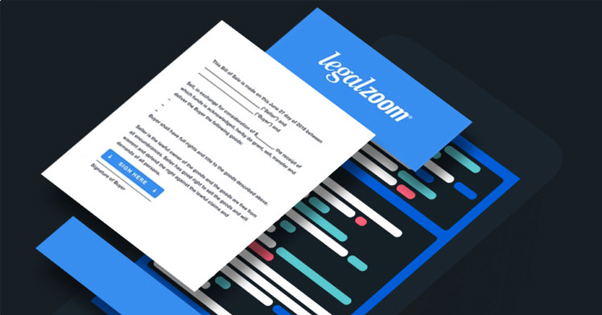 Working through such a script can give you some additional familiarity with your customers and their issues, which can help you figure out what responsibilities and requirements your employee may need to meet. It’s important to separate wants and needs, so you can have a realistic sense of what is and isn’t required with your job. You might want someone who answers phones, tickets, emails, and live chat, but you might only need the email. You might want someone who can push people towards upsells and new contracts, but you might only need someone who can forward incoming email to the appropriate department. Keep in mind that the more you want out of your employee, the more it’s going to cost you. Good service representatives, personal assistants, and sales agents don’t come cheap. Cheap can get you an outsourced script-reader in the Philippines; expensive can get you a long-term contract with a talented sales agent in your city. This is also where you should determine the type of employment you’re going for. Are you trying to hire someone on as an employee, or take on the contract of a freelancer? Remember that freelancers are much more likely to be splitting their time amongst numerous other clients, and it’s always possible they might drop you when a more lucrative client comes along. W2 employment might also come with issues relating to retirement and benefits; you need to pay attention to local laws for that one. You know what you need, you know what you want, and now you need some idea of what you’re willing to spend. Obviously, negotiating a salary or a per-diem or per-hour rate is something best left to the actual hiring table, but you should know what you’re willing to offer, what you consider unreasonable, and what the going rates are for such services. 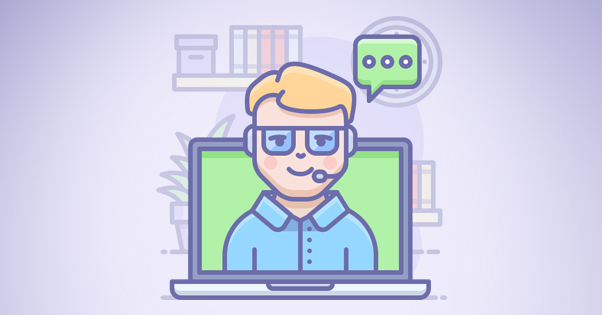 I went over the basic idea of how much it costs to hire a customer support agent in this post. I recommend giving it a read, but in case you’re pressed for time (or don’t care about budget specifics right now), here’s my judgment. 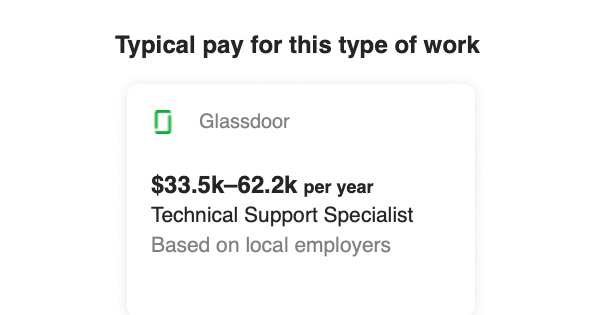 A low-end freelancer based outside of the USA (in the Philippines, Malaysia, or another such country) is going to run you anywhere from $7,000-15,000 per year, depending on a wide range of factors. A domestic agent is going to cost more, simply because the cost of living in the United States is so much higher. A talented support agent with sales experience and a broad scope of focus is likely to run you 40K+. You can always find someone on the cheap end of the scale, I know. Personally, I find it’s often worthwhile to offer more money, both to attract the people who have the talent and to retain them. If you aren’t paying much, you’re going to have higher turnover as people look for better jobs, using you as a steppingstone. Step 4: Decide: In-House, Domestic, or Foreign? There are benefits and drawbacks to different types of employment. Hiring someone in-house has the benefit of being able to talk to and meet with them face to face, which can be particularly useful if you like to hire people based on gut intuition. You also get to commiserate on local weather, keep your agents on location so they can have a fast response time, and you often exclude many of the potential grifters who might apply. On the other hand, in-house employees cost more in terms of real estate and setup, and it highly limits the range of your job postings. Most people aren’t going to want to move across a state or across a country for a simple customer service job. Hiring domestic but in an online or work-from-home position is usually the ideal. You have the guarantee of someone native to your country, most familiar with laws and politics and customs. You have the flexibility of hiring anywhere in the country, and can take advantage of the lower cost of living in rural areas to hire someone who doesn’t demand a higher salary than you can offer. Hiring foreign is almost always going to be the cheapest option, and you aren’t always going to run into the “Steve from Kansas, India” issue. Many contract workers from areas like, as I’ve mentioned, the Philippines are quite fluent in English and your customers may never know the difference. On the other hand, you have to deal with cultural differences, time zone differences, and occasionally laws that relate to international employment. It can be quite tricky. You know what you want, you know what you’re willing to pay, more or less, and you’re ready to hire. Time to put up job postings! Depending on where you want to hire, you may need to take different steps here. First of all, you should probably have a jobs section on your website, even if it’s largely empty most of the time. Your website is where people who are familiar with you go to check to see if you have jobs. 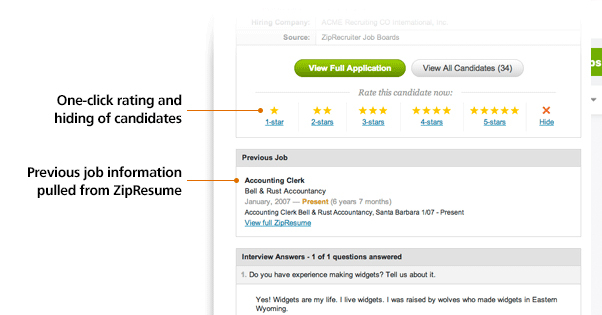 Additionally, you can use social networks to post job openings. 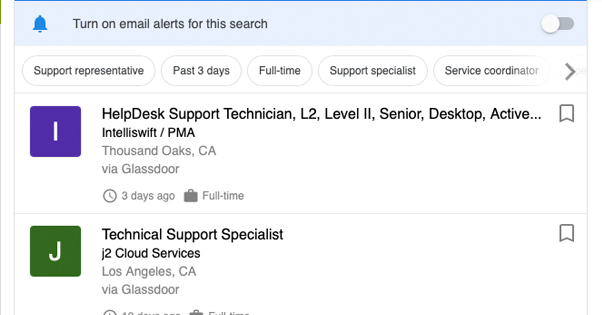 Facebook has a job board section, and LinkedIn is all about jobs. If your city has a city-wide or area-wide job website, you should consider posting your job in that site. Not all areas have such limited sites, but some do, and it can be beneficial to find someone local. Craigslist will also help with local targeting. The major selection of sites is a good place to start as well. Monster, Indeed, CareerBuilder, and other such sites are good options. Additionally, if you’re looking for freelancers, you can check out sites like Freelancer, Upwork, and other freelance hubs. You may have to pay the hub a portion of the contract, but the ease of finding a reliable freelancer can make it worthwhile. You can also consider hiring a recruiting agency or talent scout to find someone for you. The trouble is, scouts tend to have a bad reputation with people who are any good at their jobs, so you might not get reliable employees. Or you might! There’s only one way to find out. Now it’s time to interview potential candidates. When people apply, you need to respond, and when a promising applicant replies, you need to interview them. What are their skills? What is their past history with support or with your company or industry? I can’t give you a selection of perfect interview questions, as much if it depends on your company and your needs. What I can do is give you this link. It’s a good list of things you should avoid asking in your interview. Particularly when you’re interviewing potential domestic or local applicants, you need to be aware of the labor and employment laws in effect. This is centered around America, but many countries have similar protections. Avoid asking anything that might lead to a discrimination accusation. Once you find an applicant you think will work out, go ahead and pull the trigger. Taking on a new employee is going to mean paperwork, it’s going to mean tax forms and payroll implications, your IT team will likely have to set up accounts and hand over information, and all sorts of other tasks. Then the real fun begins: training. Training your new employee is the make-or-break moment, where you learn whether they’re capable of what they claim, and how well they suit your business. Turnover happens, and sometimes employees don’t work out. It’s always going to be better to let someone go than to keep them on working at a sub-par level. I just recommend working with them for a while before you make that determination. Sometimes, it just takes a bit to settle in.